If you’re a die-hard fan of their catchy 80s synth-pop hits such as Just Can’t Get Enough, Strangelove and Everything Counts, the new album just may not be to your taste. 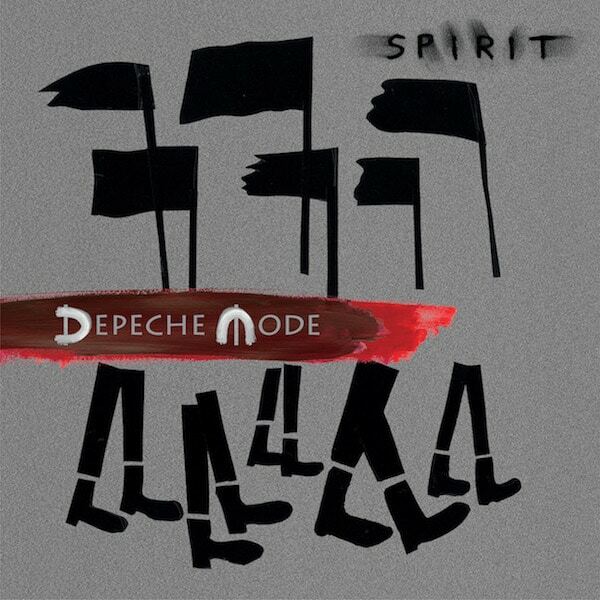 However, if your love of Depeche Mode stems from their unmistakeable gothic, darkwave vibe, I have a sneaking suspicion that you might love Spirit. Possibly the band’s most industrial, wrath and rancour-filled album, Spirit deals with the darkest parts of the human experience, including apathy, self-hatred, political revolt and hopelessness. A lot of Spirit despairs at humanity; it’s hard not to see the effect of Trump, Brexit and the rise of far right extremism on this album, especially in songs such as the single Where’s The Revolution? and Going Backwards. Speaking of Going Backwards, the opening track is all Depeche Mode in its funky-pop rhythm and direct, almost blunt denunciatory lyrics (it’s probably safe to say that some people will be up-in-arms over these lines). Their accusation that “we have nothing inside/We feel nothing inside” is a hard one to hear, but comes from a place of brutal honesty. Already in this song we feel the message of Spirit – that humanity has lost its spirit, its soul. Despite the critical lyrics, the tone of the song itself instinctively makes me want to groove, whereas the following song Where’s The Revolution? elicits a foot-stomping, head-nodding reaction. The first single is accusatory, challenging us all to consider exactly what we’re doing to make the world a better place, but also sympathetic to the paralysed hopelessness that many feel as a result of seemingly overwhelming negativity in the world. Depeche Mode are notable for their direct songs, with lyrics serving the purpose of a blunt but effective tool: it’s the way in which they’re sung that conveys emotion. Scum, for instance, is brimming with bile – you can practically hear Gahan gritting his teeth with rage. Scum first struck me as the inner voice of a depression sufferer, constantly questioning what good they are and almost bullying themselves into suicide, although I imagine it more likely that it’s directed at someone in particular. While the song might be about one specific person, it could equally be about every hateable figure we see daily in the media – and although the lyrics might seem too harsh to some, it’s clearly a use of cathartic hyperbole. I predict thousands of fans shouting “Pull the trigger!” in unison at concerts this year. You Move might just be the sexiest song Depeche Mode have ever released – I can see this being played in clubs to incite the same effect as Nine Inch Nails’ Closer or V.A.S.T.’s Pretty When You Cry (by which I mean excessive grinding by latex-clad goths). It’s emotionally chilling, and actually rather sad in message but the chorus drives home that rhythmic, almost EBM detached sexuality. Later on in the album, No More (This Is The Last Time) seems to draw a line underneath the destructive relationship detailed here. Poison Heart is similarly bitter, with a Nick Cave-Murder-Ballads-style blues breakdown complete with the classic female gospel vocals. Heavy distortion and a slow, pounding beat compete with Gahan’s treacle vocals which switch between sing-song and hoarse parlando. One of the particularly notable songs for me was So Much Love. 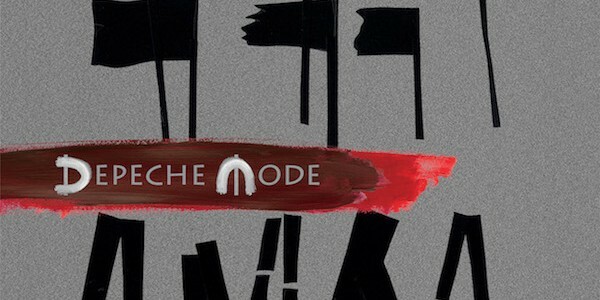 Depeche Mode have a tendency to write music which is not just hugely emotionally provocative but containing a particular combination of quiet despair and trepid hope. You can hear it in such classics as Never Let Me Down Again and Walking In My Shoes – as though the pain of years of turmoil has broken the singer down, leaving him resigned to a life of pain. So Much Love effectively pushes back against a perceived negativity by repeating the simple mantra over and over – “I have so much love in me”. Although there are these moments of hope, the album on the whole is not an optimistic one. Instead it despairs at the current state of humanity; our warmongering, hatred and divisions. The message of People Are People, which became an LGBT anthem, hasn’t become any less valid and the tone of Spirit’s songs convey the sense that they’re bored of saying this by now. Why don’t we know yet? Why haven’t we learned? Spirit raises some important questions about the nature of humanity and our world today. If your appreciation of Depeche Mode stems from the hard-hitting Wrong, the sexual politics of Master and Servant, the driving electric guitar of Personal Jesus and the gentle despair of Walking In My Shoes, you’re going to love this album. If you’re still hoping they’ll write another Just Can’t Get Enough, you might be waiting a while.